The man shot dead outside an upscale Toronto shopping mall this past weekend had a criminal record, though a lawyer who once represented him thought he had the potential to turn his life around. Michael Nguyen, 23, of Toronto, has been identified by police as the man gunned down outside the entrance to a department store at Yorkdale Shopping Centre on Saturday night. He and another man were shot about an hour before the shopping mall was set to close. Nguyen was pronounced dead at the scene. The other victim, a 24-year-old man whom police have not publicly identified, was rushed to hospital in critical condition after the shooting. By Sunday, he was in stable condition and expected to survive. At a news conference on Sunday, Toronto police Det. Rob North told reporters that Nguyen was "known to police," though he did not provide details about his criminal record. But a lawyer in Windsor, Ont., has since spoken to CBC News about Nguyen, saying he once served time for a home invasion and robbery that occurred when he was a teenager. Defence lawyer Frank Miller said that he met Nguyen after he was charged in the incident in Windsor. 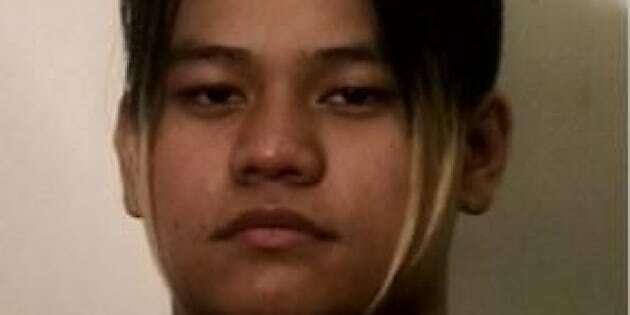 Nguyen later received an adult sentence. Miller lost contact with him. "I was surprised, shocked and saddened to hear that he had been shot to death in Toronto," Miller said. Miller said Nguyen impressed him as “a bright, engaging, intelligent, insightful young man," who also had a history of trouble with the law. But he believed that Nguyen was a young man who "had some potential, had a great deal of potential to make something of himself if he chose to follow a positive track, if you will, in the world." Miller said that police officers had alleged Nguyen was “heavily involved” with a street gang known as the "Asian Assassins." Police said they knew who the members of the street gang were because they had posted a photo of themselves online, Miller said. The CBC's John Lancaster reported Monday that the Toronto street gang known by that name is now part of another group called the Project Originals. Dozens of police officers were brought into the investigation after the shooting to help look for evidence that could be found within the sprawling crime scene in the mall parking lot. Hundreds of vehicles in the parking lot remained cordoned off as police conducted their investigation. At least one vehicle was towed away from the lot by police on Saturday. They released the remaining vehicles to their owners on Sunday afternoon. Police will be reviewing hours of video footage captured by cameras inside and outside the mall. Police also say there were five or six people in the immediate area of the shooting, and investigators want to speak to them. The violence on Saturday night is not the first time that a shooting has occurred on the mall property. In April 2009, a security guard was shot while attempting to arrest two robbery suspects. He was wearing a safety vest that police credited with saving his life. The incident comes almost 10 months after a shooting downtown at the Toronto Eaton Centre in which one man died at the scene and another was fatally wounded and died in hospital days later. Five other people were wounded, but survived the shooting. Investigators are urging any of the hundreds of shoppers who were at Yorkdale Saturday night to come forward if they saw anything. They're asked to call detectives at 32 Division at 416-808-3200.